Turns out the ancient cartridge defeated the ancient smartphone in a walkover. Hit the jump for more photos. Well played, SilencerCo. 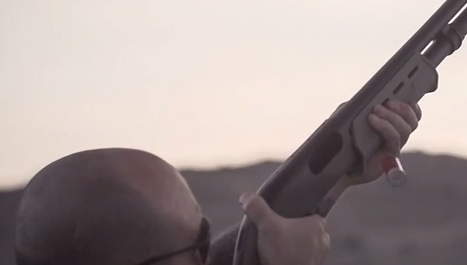 I really enjoy the way they’re marketing their new shotgun suppressor. Get GunUp the Magazine to go! Download the GunUp the Magazine app for your iPad/iPhone today and get the hottest gun magazine in your pocket at all times!